Wayne Sutherland is the co-founder of Elite Fitness Team Inc. His specialties involve online fitness coaching and weight loss transformation. What type of sports did you participate in as a kid? My love for sports started in university which is where I started playing basketball. What injuries, if any, have you have to overcome as an athlete? Luckily, I did not have any crazy or serious injuries. I did dislocate one of my fingers once, but was still able to play basketball. What does a typical week look like in terms of your workouts? Typically, I train 4-5 days a week. 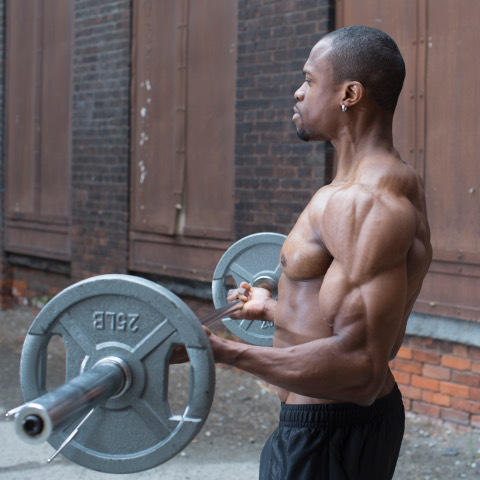 Some full body routines as well as some body building splits. Do you have any tips for getting to the gym on days you just don’t feel like working out? When I don’t feel like going to the gym to train and I know that I have to, I use the 5 second rule introduced to me by Mel Robbins. Count backwards from 5 to 1 and get up to get you going. It’s important to understand that the mind plays tricks and it’s up to us to not fall for these tricks. Havign a compelling, WHY, to go to the gym is also crucial. Without that, it is very difficult to get started. Schedule gym time in your week the same way you would schedule other important priorities such as work and appointments. Make working out or going to the gym a MUST. What are the top 3 supplements you would recommend for the post 45 athlete? Tre transformation goes deeper than aesthetics, weight loss, etc. Focus on the inside rather than the outside. The inside will take care of the outside.